Sooo, this cover…. I guess that she should have a dress on. 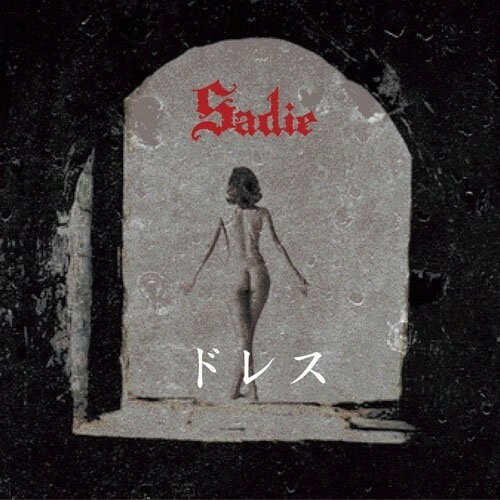 Whatever, This is Sadie’s latest single. It seems like they have sort have reverted back to their roots stylistically. There is more vocal melody than in their previous release Gain. Dress starts of slowly with band and piano playing. The bass in this song is very fat sounding to me. In fact, all the lower parts that the guitars play are very thick (probably because they’re playing in unison with the bass). Mao’s vocals are very good and controlled. He sings throughout the song rather than including growling and screaming. The guitar parts are simple but effective. forbidden is the last track. No piano introduction or inclusion this time. Ooh, got what I asked for from the other one! More guitar prominence, yes. They are much more intricate in this song than the other two. Maybe as a counterbalance, Mao’s line is less active range-wise although still keeps interest. Overall: Very nice single! It’s nice to hear Mao’s voice straight on rather than with all the growling and strange effects. Good use of piano and it’s nice to get what I asked for hah.